Some say Waseeka's Showtime was the most beautiful morgan that ever lived. 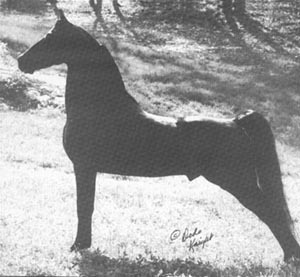 He was bred by the Powers of Waseeka farm and was bought as youngster by their friend and trainer Johnny Lydon. 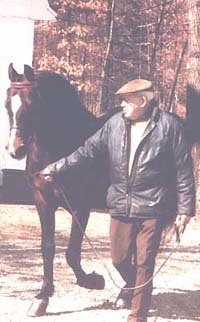 In his 60 year career of handling such notable horse as Waseeka's Nocturne and Waseeka's In Command, Johnny, part old-horseman, part-psychic, chose Showtime for his very own. In Showtime he found the ultimate combination of beauty, ability and attitude. 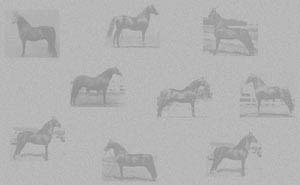 Showtime was all show horse but a long, illustrious show career wasn't to be. Johnny was too busy showing clients horses, then Showtime suffered from a prolonged near-fatal bought of meningitis. Finally, when Showtime was 12 and and Johnny himself was 72, they entered the Grand Nationals their first and only time. 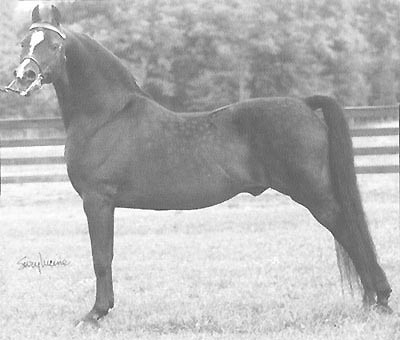 Showtime lit up the ring and trotted off with World Champion stallion honors. 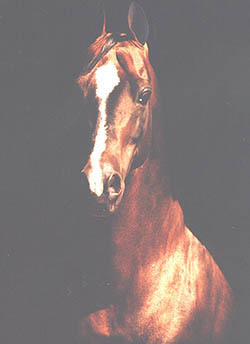 Showtime shined in the breeding shed and has been known as a broodmare sire. 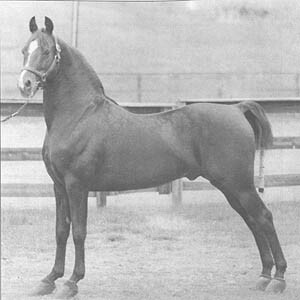 One of his get, the exquisite Waseeka's Valiant Lady, is the dam of Valiant Tony and Nobelle, the latter the dam of Futurity French Command. But his sons have made quite an impact too, including Hillock Showson, 2 time World Champion Stallion, UC Ringmaster, 1991 and 1993 World Champion English Pleasure, and Stoneholm Taliesin, another World Champion English Pleasure horse. Showtime was a very proud horse, a horse of incredible physical beauty, dignity and charisma, yet he was gentle and safe to handle. His full siblings were equally remarkable: Waseeka's Interlude, the dam of Noble Command, Waseeka Tiz So, the dam of Fiddler's Trustee, Waseeka Here Tiz, the sire of Waseeka Peter Piper, Waseeka's Endeavor, Waseeka Tiz Me and Waseeka Tiz Tops.